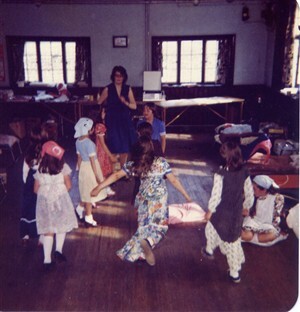 Party games at pack holiday in Church Hall Iford. My name is Olive Shaw, I moved to Whitehawk on 1st May 1967 with my husband and two children. We lived in the flats at the top end of Whitehawk and stayed there for a year. We then exchanged with a lady for a house in Wiston Road and stayed there for 21 happy years until the houses were pulled down and we then moved out of Whitehawk. Through my children I became involved in youth work. 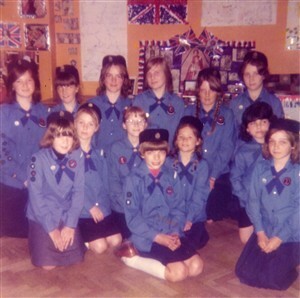 My daughter Deborah joined the Brownies and I soon became a Tawny Owl. After a couple of years I became Brown Owl of the Thursday pack. I took my pack holiday permit and each summer took my Brownies on a pack holiday to Iford. We stayed in a church hall next to a farm. The village people were very friendly and the farmer used to let us see the cows being milked. We also saw a few calves being born which the Brownies enjoyed seeing in the fields. I also got involved with Whitehawk School because my son David liked going youth hostelling. He asked me to help as some of the girls wanted to go and none of the lady teachers were able to take them. We went all over Sussex, and sometimes to Hampshire, and great fun was had by all. By this time Deborah was in the Guides. The Captain left and there was no one to take over. 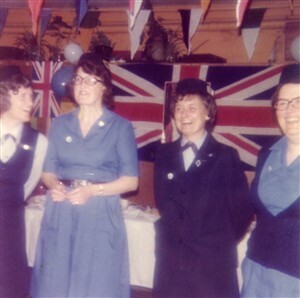 Some of the girls were very near to finishing their Queen's Guide Badges (including Deborah) so I became Captain of the Guide company and all the girls finished their badges and all received their Queen's Guide Award. We had a big celebration party. I sometimes helped my friend Gwen Fiddler with the Whitehawk Girls Club and she helped me with the Brownies and the Guides. In our spare time we would take the Brownies swimming. 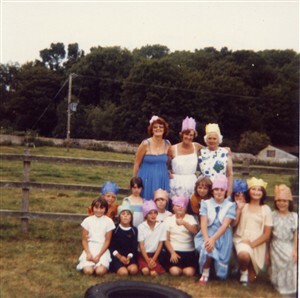 As you can see my life was full and I enjoyed it as much as the children.